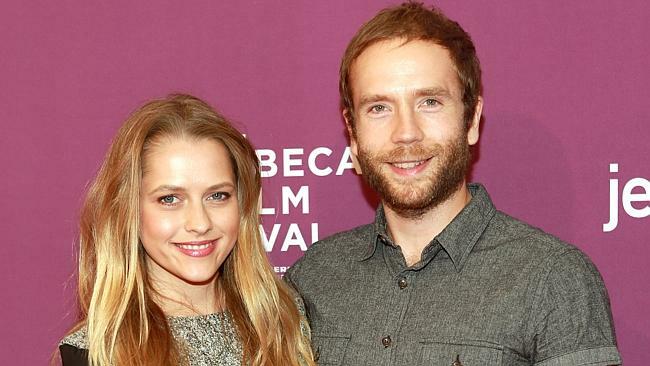 Actress Teresa Palmer and her husband Mark Webber welcomed their first child together on February 17, and have named their son Bodhi Rain. They chose Bodhi because it is a Buddhist term meaning “enlightened one”, and they think that Rain means “abundant blessings from above”. Bodhi will have the surname Palmer because Mark’s son Isaac, from a previous relationship with actress Frankie Shaw, doesn’t have his father’s surname either. Teresa started out as an extra in movies shot in her home town of Adelaide before being cast in independent student film 2.37. She had a minor role in Wolf Creek, and starred in several other Australian movies.2.37 premièred at the Cannes Film Festival in 2006, gaining Teresa international attention, and a signing with an American agency. After moving to Los Angeles, she got her first Hollywood role in The Grudge 2, has had main roles in Disney films Bedtime Stories and The Sorcerer’s Apprentice, and starred in Warm Bodies and Love and Honor. She starred in the short film Bear, which was screened at the 2011 Cannes Film Festival, and played opposite Joel Edgerton in the Australian film Wish You Were Here, which premièred at the 2012 Sundance Film Festival. Teresa continues to have a high profile in Australia, where she has appeared in several advertising campaigns, and she co-founded the Your Zen Life website. Mark Webber is an American actor and director who has appeared in several independent films, and is best known for films such as Snow Day and Scott Pilgrim vs. the World. He acted and directed in The End of Love, which premièred at the 2012 Sundance Film Festival. He began dating Teresa after she contacted him on Twitter, and they were married in Mexico on December 21 last year. The couple live in Los Angeles. I don’t mind Bodhi thought I am more open to it if the family have the Buddhist faith (not sure if that is the case here? ), if so it is very fitting, if not possibly a little unusual for my taste. Rain is one nature name that I do like in the middle – to me is seems sufficiently ‘name-like’. Not sure though about the definition, Rain after all means ‘rain’. I picture a little eye rolling when trying to explain the thinking behind this name in public. I’m not really sure if Teresa Palmer is a Buddhist or not, although having a Zen website suggests a strong interest. Their wedding was a mixture of Christian, Buddhist, Hindu and Native American spirituality, so they seem pretty eclectic. I must admit to eye-rolling a little bit myself, but I can see what they mean – rain suggests “blessings from above” rather than meaning it literally. There’s lots of prayers and blessings which ask for rain as a divine favour (in many faiths), so I can see where they’re coming from. Just read that Megan Fox named her second son Bodhi Ransom (first son is Noah). Wonder if this name will be more popular in the near future? Also, does anyone else think that while sounding lovely together…Noah and Bodhi have little in common? Bodhi just went on to the US charts in 2010, and has gone up a bit since then. In Australia, I feel that Bodhi has been semi-fashionable for decades without ever becoming popular, despite being a bit of a celebrity favourite. Honestly I’m not a huge fan of Bohdi as a name, but I think Bohdi Rain is perfect for these two! It sounds organic and carefree which is how I imagine Teresa Palmer!